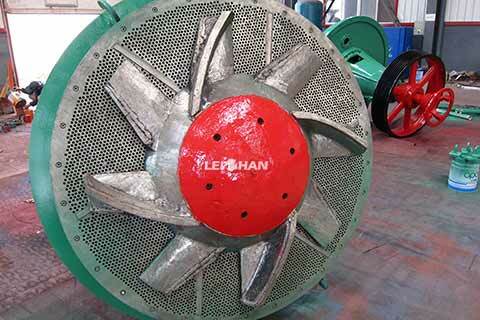 D Type Hydrapulper is mainly used for pulping various kinds of pulp board, damaged paper and waste paper. The specialties of D Type Hydrapulper are: VOKES rotor departs the central position, thus the connection between paper pulp and rotor is faster, and the frequency is higher. Traditional Hydrapulper brings a kind of unimpeded rotational flow, paper pulp moves to the central rotor following helix track from inlet. D Type Hydrapulper changes this type of flow, pulp contacts with rotor faster, thus can cut down the time from putting in pulp to pulping and process, and it can also improve production capacity under the condition of not improving power and volume. Rotor and out pulp plate is higher than Hydrapulper cell bottom level, thus there is a low pressure flow area to gather heavy impurities. When heavy impurities deposits on the bottom, it would be brought into the sediment well or heavy impurities collection pot because of slurry’s turning effort. Thus can reduce the connection of rotor and impurities, length the service life of rotor, and it can also prevent that the twisted rope twines in rotor, protect rope and rotor not being damaged.